Dr. Steven L Acosta, MD is a Doctor primarily located in Lovington, NM. He has 16 years of experience. His specialties include Internal Medicine. He speaks English. Dr. Acosta has received 1 award. The overall average patient rating of Dr. Steven L Acosta is Great. Dr. Steven L Acosta has been rated by 7 patients. From those 7 patients 3 of those left a comment along with their rating. The overall rating for Dr. Steven L Acosta is 4.3 of 5.0 stars. Absolutely an amazing real doctor that cares for his patients and realizes his title as "Doctor" is truly a "Gift". Great bedside manner! Very kind and caring. Interested in hearing what I had to say. Easy to get follow up appointment. He was very professional. We are sorry, it looks like we don't have insurance information. Please call Dr. Steven L Acosta's office for more information. Dr. Acosta, who originally is from Lovington, worked as a formulation chemist for Unichem from June 1998 to May 1999; he was a safety representative for Dawson Production Services from June 1997 to June 1998; and H was a biology and chemistry teacher and coached varsity football, basketball and baseball for Lovington Public Schools from June 1995 to June 1997. Take a minute to learn about Dr. Steven L Acosta, MD - Internal Medicine in Lovington, NM, in this video. Dr. Steven L Acosta is similar to the following 4 Doctors near Lovington, NM. 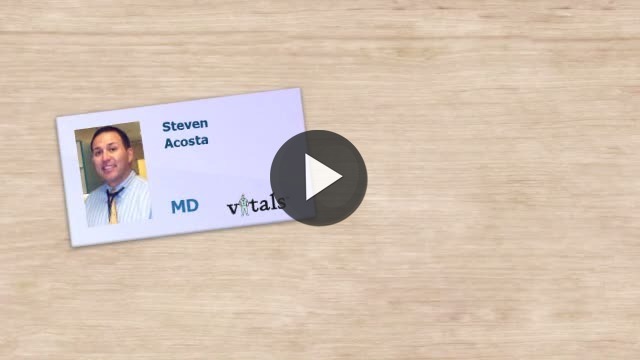 Have you had a recent visit with Dr. Steven L Acosta? Select a star to let us know how it was.